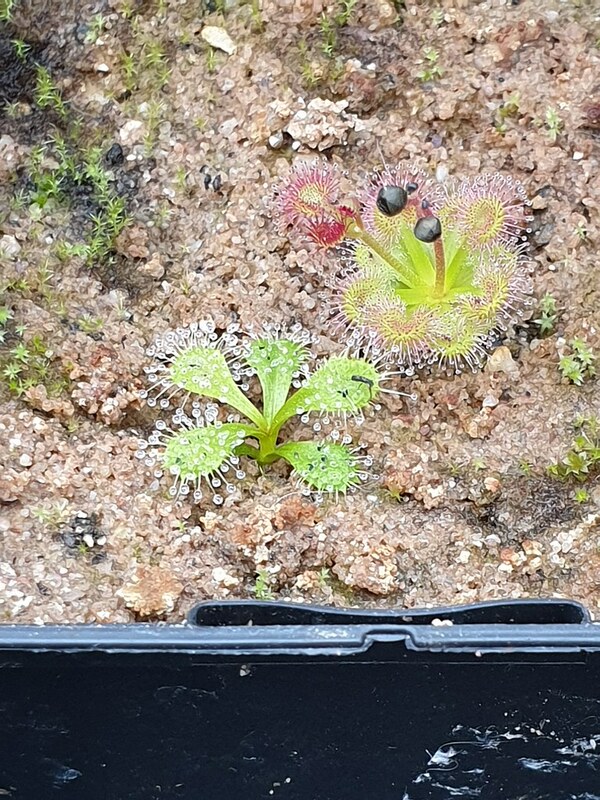 I think the plant on the left is a young D. abberans. What is the plant on the right with the flower spike? Can any one help?